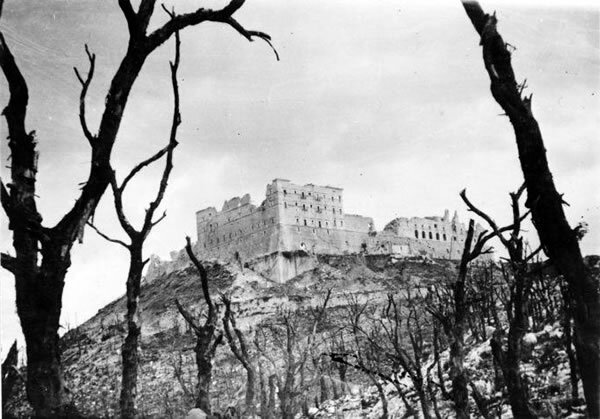 A view towards the ruins of the Benedictine monastery atop Monte Cassino in central Italy, after 250 Allied bombers had dropped tons of high explosive onto the building on 15 February 1944. Convinced that the Germans were using the monastery as an observation post, Lieutenant-General Bernard Freyberg ordered its destruction from the air. The decision, which remains controversial today, turned out to be counter-productive, as the monastery's ruins proved to be an even more effective fortress.